From the second they greeted fans up until the final notes of their last song, Alice in Chains had us on our feet, jamming out for their ACL Live show. The band played an incredible repertoire of songs at The Moody Theater in Austin, TX on September 26—an unforgettable concert that packed in nearly 2,500 screaming fans. 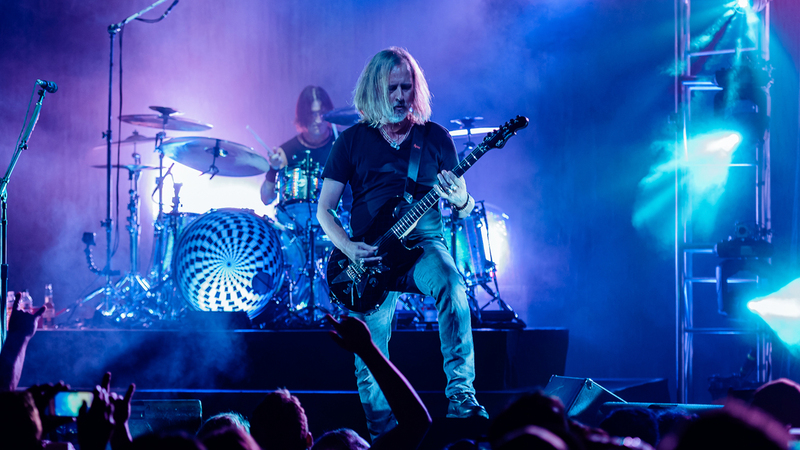 Jerry Cantrell, William DuVall, Sean Kinney, and Mike Inez walked on stage, (each sporting a different variation of a black tee and jeans), ready to put on a show for the books. Opening the night with “Hollow” off their latest studio album, The Devil Put Dinosaurs Here, they hit it out of the park, playing an even mix of songs from their 29-year-long musical career. After wrapping up their set with “Junkhead”, the crowd was still cheering as loud as ever. Their solution? A three-song encore, consisting of fan favorites like “Rooster”, “No Excuses”, and “Would?”. Check out the photos we snapped while singing alongside the group below, and be sure to track Alice in Chains so you don't miss them when they're in a city near you.